The murder was documented on Snapchat by the convicted killer, an Escondido High School alum. Salvador Alejandro Sanchez, 19, killed 20-year-old Maithem Alfuraiji in April 2017. He was sentenced to 25 years to life on Wednesday. After an Escondido teenager murdered his best friend, he used his phone to share his crime on social media, looking into the camera and saying "No regrets." On Wednesday, that teenager was sentenced to 25 years behind bars for the brutal crime in which he posted audio of his victim's cries on Snapchat. 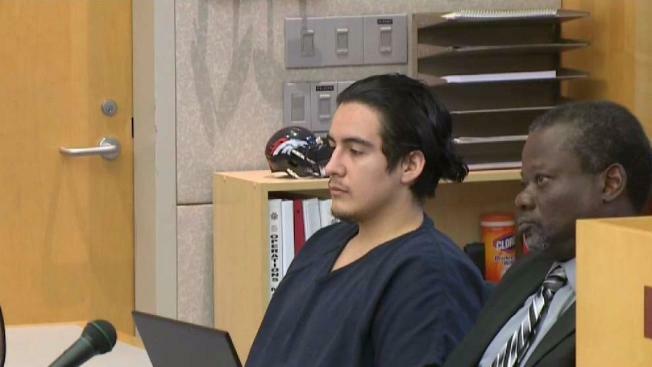 Salvador Alejandro Sanchez, 19, killed 20-year-old Maithem Alfuraiji in April 2017. After the bloody fight, Sanchez looked into the camera and said "no regrets," the prosecutor said. "He violently, brutally murdered his best friend," prosecutor Claudia Plascencia said outside of the courtroom in Vista. "The victim had no idea that the defendant had plans to murder him, somebody he considered a brother." The victim's mother cried as she addressed the court, asking for the maximum sentence allowable under the law. “It’s been a year, one month and three days since this horrible, horrible tragedy,” Brenda West said. Alfuraiji was last seen on April 27, 2017, before he went to go meet a friend in Mountain View Park where they were going to smoke marijuana and drink alcohol. During that meeting, Sanchez challenged Alfuraiji to a fight to the death. The victim's body was found three days later by homicide detectives in a remote area in Valley Center. Evidence in the trial included audio and images posted to Snapchat, white clothes found covered in the victim's blood, a statement from a friend who helped transport the victim's body and the defendant's alleged confession to police. “I’m trying to be strong and move on forward in my life. Maithem will never, ever be forgotten by any of us,” he said. The defendant’s mother, Zayra Sanchez, stood with her back turned toward her son. She said there were no words to describe how she feels. She said at night, she is “thinking where I went wrong. Thinking what I could have done so this wouldn’t have happened,” she said. After apologizing to Maithem’s parents, she asked them to forgive Sanchez. “I’m asking you to forgive my son. Not because he deserves it but because it will also set you free,” she said. The victim's parents asked for life in prison without parole for their son’s killer. However, the judge imposed the maximum penalty legally possible under the circumstances - 25 years to life. Sanchez, a 2016 graduate of Escondido High School, will be eligible for parole after 25 years.